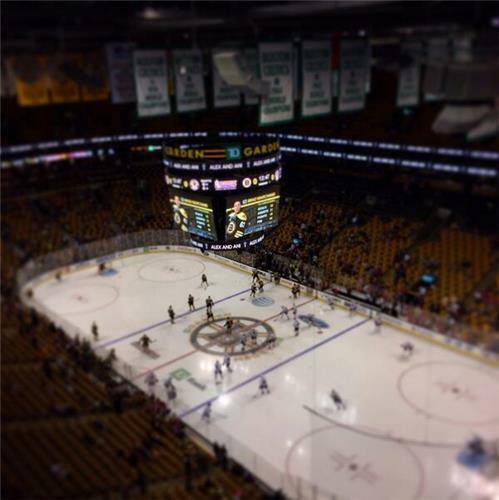 Live updates as the Bruins face the Chicago Blackhawks on Thursday, March 27. The last time these two teams played at the TD Garden, I had covered more Cup Final games than regular season hockey games. No longer. 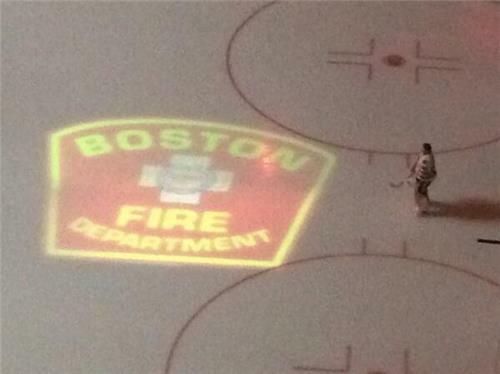 Bruins are wearing Boston Fire Department hats for pregame warmups. Bruins come out in Boston Fire Department hats for warmups. 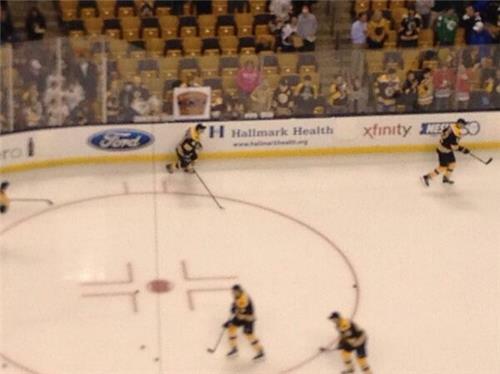 Rask leads the Bruins out for pregame warmups vs. Blackhawks. Bs wearing Boston FD caps as they take the ice. Rask and Crawford the starting goalies. 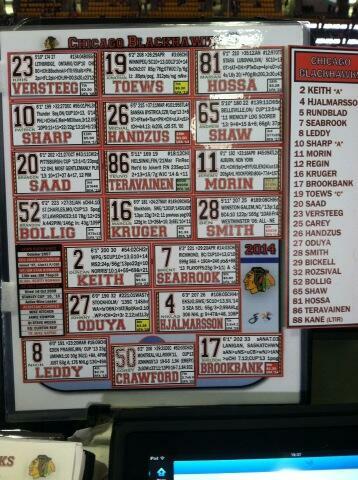 Bruins Blackhawks 7PM on #NESN . Be there. Please. Marchand, Smith, Krug and Miller are wearing theirs backwards. Tuukka Rask and Chad Johnson have knit caps over their masks. 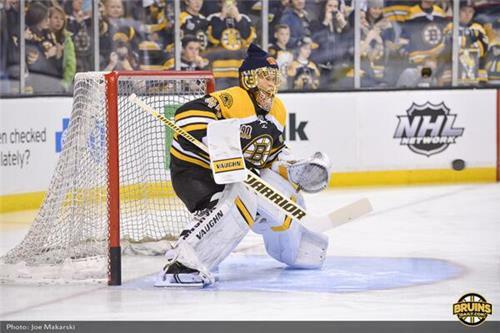 Tuukka wearing a BFD toque on top of his mask. Chicago is one team that could give Bruins fits in 7-game series. SJ is second. Right now, not many others. #Bruins wearing Boston Fire Dept hats during warmups. We'll have some good pics from @JoeMakarski soon. I will take another Cup series in Chicago, please. 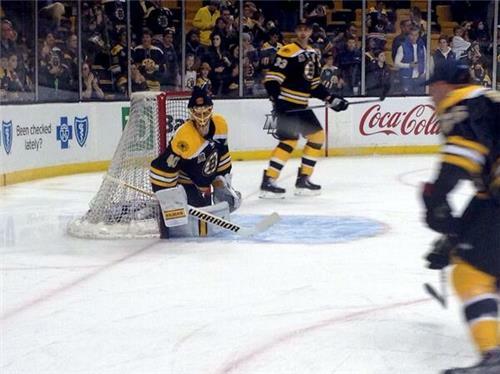 MT @GlobeFluto : Chi is one team that could give Bruins fits in 7-game series. SJ second. Per warmups, Andrej Meszaros out. Andrej Meszaros looks like the healthy scratch, from warmups. 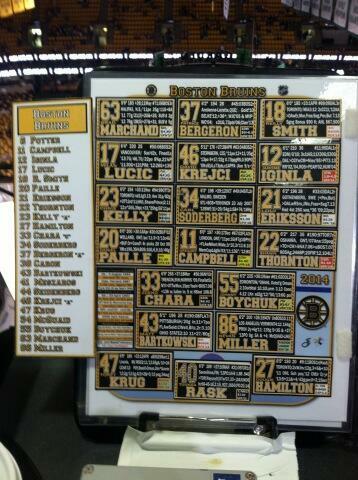 Looks like Meszaros is the odd man out on the #Bruins D tonight. Per warmups: Versteeg-Toews-Hossa, Sharp-Handzus-Shaw, Saad-Teravainen-Morin, Bollig-Kruger-Smith. Still dangerous without Kane. 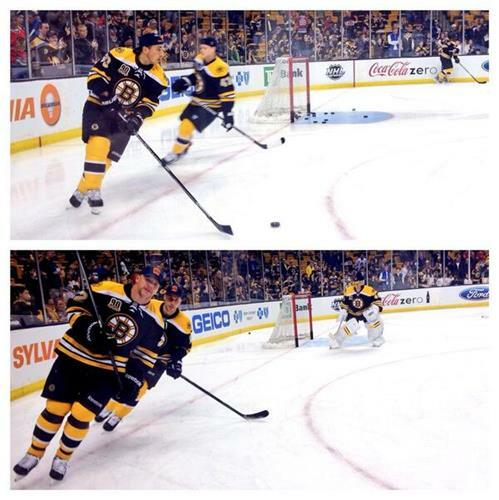 Chara-Boychuk, Bart-Miller, Krug-Hamilton D pairings per warmups. #Bruins four forward lines remain the same. Believe Chara-Hamilton, Bartkowski-Boychuk, Krug-Miller will be how Bruins open playoffs. Meszaros in if things go sour. Hearing "Life is but a Dream" at the Garden so I'm waiting for the Zamboni to start dancing. #RedfromCars . Prior to game vs. #Blackhawks , Bruins will hold moment of silence for two firefighters killed in Wednesday’s tragic fire in the Back Bay. 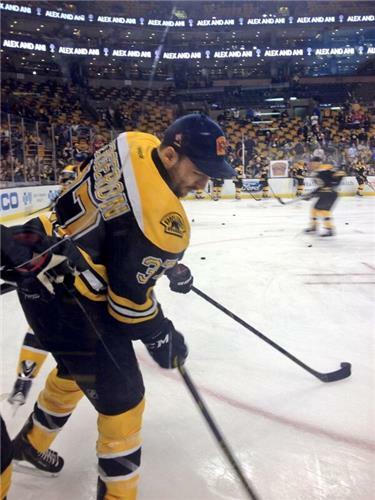 #Bruins will be wearing Boston Fire hats during warm-ups prior to game vs. #Blackhawks . 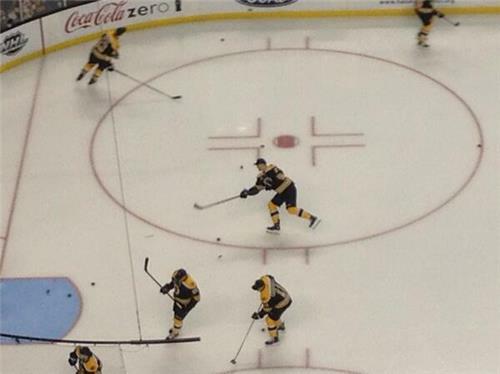 #Bruins wore Boston Fire hats during warm-ups prior to game vs. #Blackhawks . 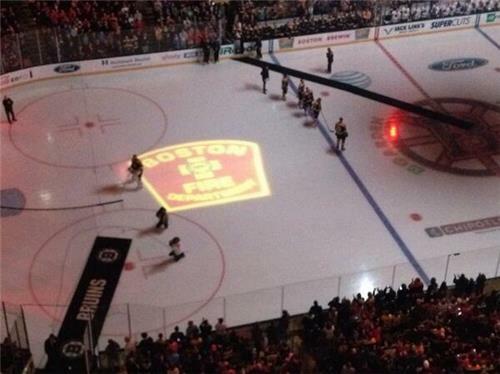 Bruins will hold a moment of silence for the fallen Boston firefighters Edward Walsh and Michael Kennedy. The Bruins will hold a moment of silence for fallen firefighters Lt. Edward J. Walsh and Michael R. Kennedy before the game. Moment of silence for Walsh and Kennedy of the BFD.